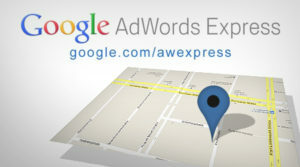 Google recently released Google AdWords Express keeping in mind the local marketers. This is a program which lets local business firms to set up an account in Google AdWords within few minutes and start off with promoting to their target markets through the local search option of Google. AdWords Express is in concept similar to the conventional Google AdWords but there are definitely few key differences to watch out for. Express was created as an easy-to-handle PPC option for the local advertisers and Google automatically chooses search queries which ads will be displayed in which category. So, here are few steps that you should take to set up Google AdWords Express. Visit AdWords Express and click on the ‘Start Now’ button. At the first step, Google will require confirming the country where exactly your business is located and then confirm the number which is related to your business. As the number is confirmed, you have to ensure that the information is accurate. Once Google finds out your business, you have to click on ‘this is my business’ button. And in case you don’t have Google listing, you can click on ‘add a new listing’ and allow Google to take you through the remaining process. Here Google will request you to enter some important information regarding your business. The more details you give, the better for your business as Google will get to understand your account in a better way. Don’t forget to add your mail and website as this is something that is of utmost importance and you need to be careful about selection of category. This is the actual fun part as now you get the ultimate chance to write the copy of your own ad. Abide by the character limits of the headline and the description of the ad and also keep in mind that everything that you write should be related to the category. Include an offer and mention how valuable the offer is. You knew this one was coming. Once you’re done, it’s time to set up the billing profile. Your business information will be similar to the info you gave in Step #2. This step will hence be very fast to complete. Therefore, if you are eager to promote your business through Google AdWords Express and you’re still wondering ‘how to set up Google Adwords Express’, take into account the steps mentioned above.